1. Copy from here and paste in your Facebook status or message. 2. Facebook symbols can be typed on your keyboard using the ALT button. 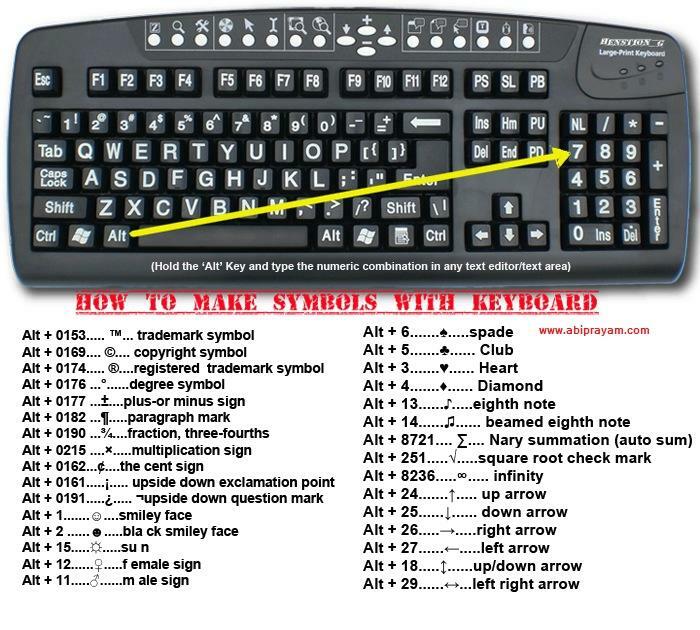 Desktop computer instructions for ALT facebook symbols:• Press and hold left Alt key on your keyboard.• While holding Alt key enter one of the codes below to get the corresponding symbol. 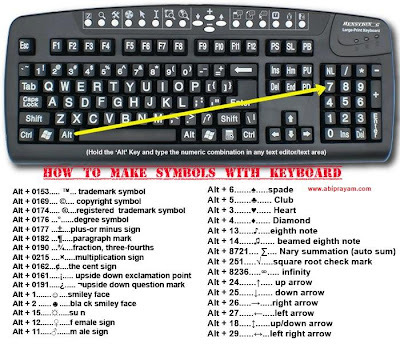 • Note: Use numbers on the right side of the keyboard for entering code, not the numbers on top or they will not work. • Press and hold left Alt key on your keyboard.• While holding Alt key also press and hold Fn key.• While holding Alt and Fn key enter one of the codes below to get corresponding Facebook symbol. More Facebook symbols Unicode. Copy and paste these to use in a messages or what ever you want!